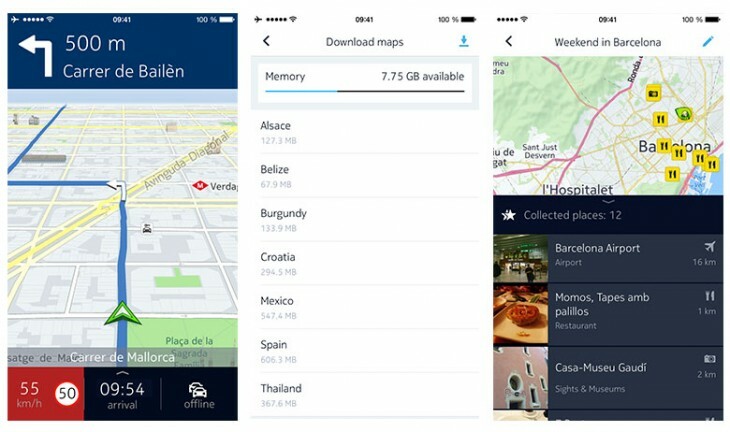 Nokia has announced today that it has brought its mapping app, HERE, back to iOS after it was taken down in 2013. Nokia is hoping to compete with Google and Apple on the mapping front by bringing something a bit different to the table. One of HERE’s most compelling features is its offline maps for over 100 countries. On top of that, it also provides directions for people using cars, public transport and walking as well as suggestions of places nearby that are worth a visit. In the 15 months that HERE has been on hiatus from iOS, Google Maps has cemented its position as the front runner. It will be interesting to see if iPhone users opt to convert fully or utilize HERE alongside Google Maps and boycott the lagging Apple Maps altogether.